Struck in a full ounce of highly-pure 99.95% platinum, each $100 legal-tender coin features the familiar jumping kangaroo image as created by master coin designer Dr. Stuart Devlin. The design, which has appeared on Perth Mint bullion coins since 1990, is a lasting tribute to Dr. Devlin, who passed away in 2018 at the age of 86. 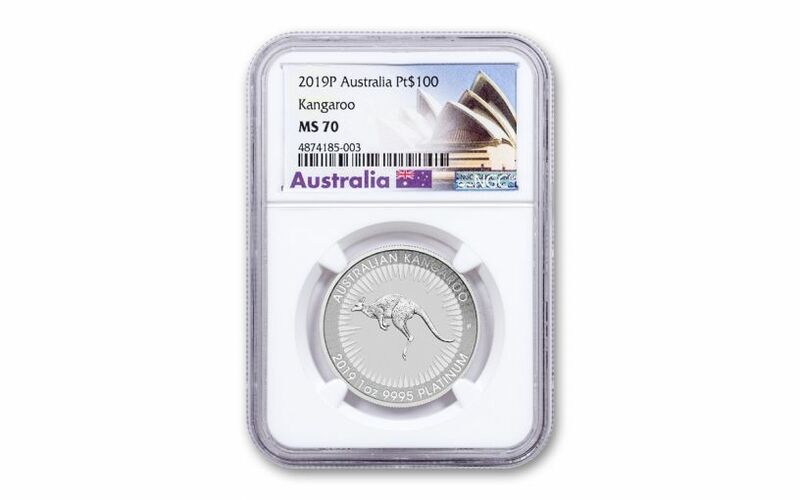 This 2019 Platinum Kangaroo has also been graded by the Numismatic Guaranty Corporation (NGC) as being in flawless Mint State-70 (MS70) condition, a distinction that means your perfectly-graded coin will have ZERO imperfections – showing all features and fields exactly as the engraver and mint intended! 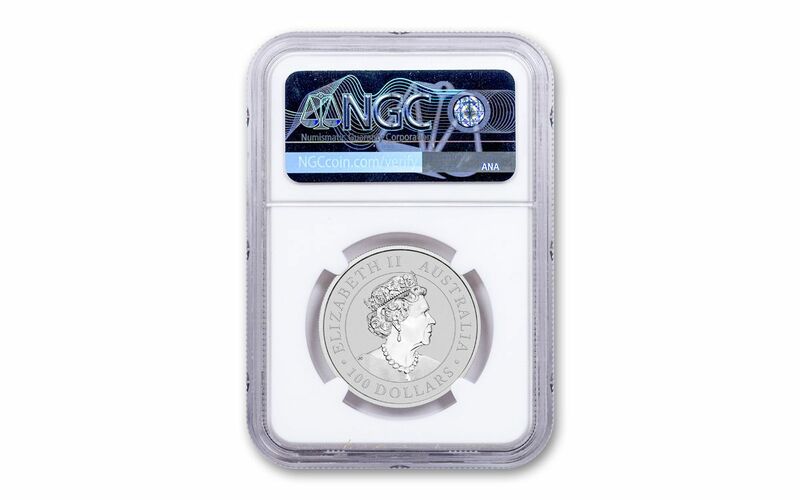 GRADED IN PERFECT UNCIRCULATED CONDITION – Your 2019 Platinum Kangaroo has been graded by the Numismatic Guaranty Corporation (NGC) as being in flawless Mint State-70 (MS70) condition, a distinction that means your perfectly-graded coin will have ZERO imperfections – showing all features and fields exactly as the engraver and mint intended.